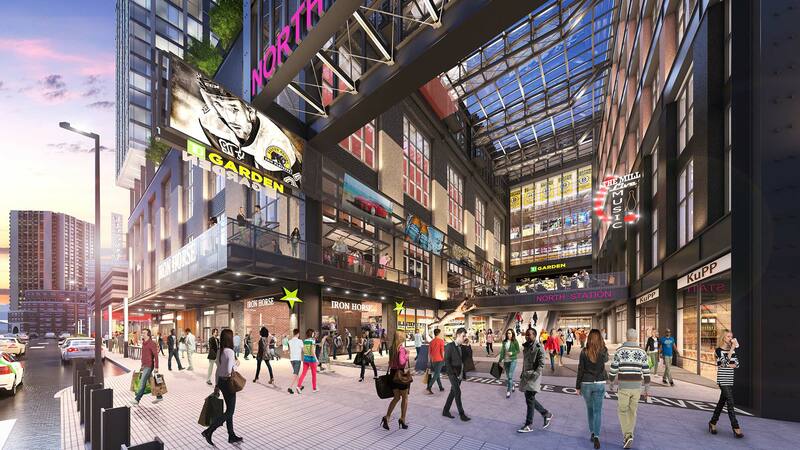 A gateway to shopping, dining, and entertainment, the project connects to TD Garden, home to professional teams including the Bruins and Celtics. Conceived as a city within a city, The Hub on Causeway is a 2-million-square-foot mixed-use development that blends many activities on a site formerly occupied by the famed Boston Garden. 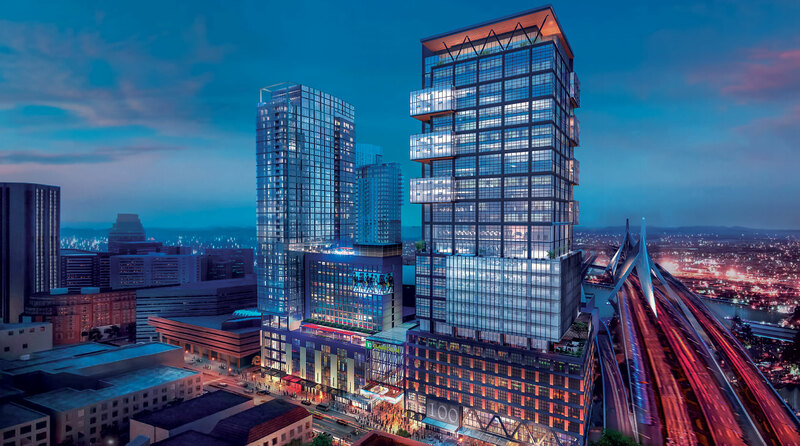 The project introduces a new retail podium and office, residential, and hotel towers that add new entertainment venues, specialty retailers, high-concept dining, and loft-style office space. The 120-foot-tall arcade creates a grand entrance to the district and improves pedestrian flow to the busy transit hub. A critical component is the project’s streetscape design, which recalls the legacy of Bulfinch Triangle’s industrial aesthetic, broadening the neighborhood while establishing a new shopping experience along Causeway Street. Interconnected public spaces, promenades, and pedestrian amenities form the interstitial fabric that connects and expands the neighborhood. At its heart is a five-story arcade, covered by a steel-and-glass canopy and lined with restaurants, markets, and shops. It culminates in a grand entrance that will funnel pedestrians to the North Station transportation hub. Office, residential, and hotel towers spring from a podium that houses specialty retailers, high-concept dining, and loft-style office space. A hybrid mixed-use development that creates both a gateway into the city and a civic destination, The Hub on Causeway leverages the critical flow of people through the transit station to stimulate vibrancy in the district and activate the space throughout the day. JF Finn is a Mixed Use Leader based in Gensler's Boston office.